The Pareto Principle (abs noun); many types of things follow the same sort of distribution, where there are a small number that reach superlative levels, while many are quite ordinary. There are a few very long rivers and many short ones, a few best-selling books or DVDs and many that sell in small numbers, and there are a few extremely wealthy individuals and many poor ones.ï¿½ Named after Italian economist Vilfredo Pareto. Long Tail (noun); the 80% of products that account for only 20% of sales. Coined by journalist and author, Chris Anderson, in a book of the same name. This gives rise to much overchoice, but also allows people with narrow but deep interests to access a level of choice online that is impossible in physical world shop, because online sellers can have vast warehouses full of products and a list of several million SKUs. SKU (acronym); Stock Keeping Unit ï¿½ a single product in a single variation (of size, colour, language, or any other consumer preference). BATNA (acronym); Best Alternative To a Negotiated Agreement. Bottom line position when negotiating. 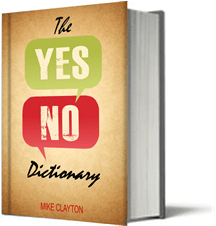 Coined by Roger Fisher and William Ury and described in their book ï¿½Getting to Yesï¿½. Overchoice (noun); the excessive number of choices we have in modern life. Coined by Alvin Toffler in 1970. Paradox of Choice (abs noun); too many choices leave us fearful that we will make the wrong decision, leading you to reduced happiness. Coined by Barry Schwarz in his book, as ï¿½The Paradox of Choiceï¿½. The paradox of choice is that the more choices we have, the less happy we are. More choices make decision-making harder and satisfaction with your decision lower. Note: Two alternative strategies to dealing with overchoice, satisficing and maximising, are defined in Part 6: Goal Setting.